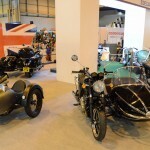 Britain’s oldest sidecar manufacturer launches its newest design at Motorcycle Live. 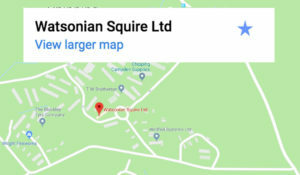 Watsonian Squire celebrates its 105th birthday in 2017 and will introduce a brand new model to mark the occasion. 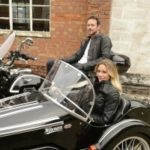 The Flight is a single seat sidecar with clean modern lines, designed to suit contemporary motorcycles. 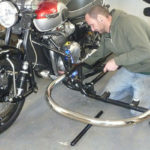 Measuring 2000 mm long by 980 mm wide, its body shell is moulded from fibreglass, with a durable and low-maintenance polished gelcoat finish. There is plenty of room for the passenger, who sits on a fully upholstered seat, shielded by a wide polycarbonate screen, in the 590 mm wide cockpit. There is a generous 1350 mm of legroom and the seat tilts forward to reveal a large boot space (430 x 670 x 450 mm). 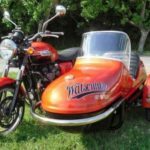 Watsonian developed a totally new platform chassis for the Flight, with a 15” cast alloy wheel and automotive type transverse swinging arm suspension, with hydraulic shock absorber, for a smooth ride. The prototype is attached to a 900cc Yamaha Tracer using a tubular subframe specifically designed for the motorcycle, since it is not possible to bolt the ‘arms’ from the sidecar chassis directly onto the bike’s diamond frame. 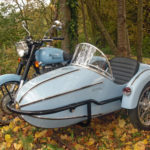 Total weight of the sidecar is approximately 80 kg. 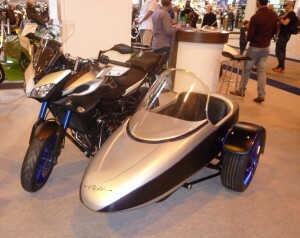 The Watsonian Flight will sell for £5,195- including VAT.